Morgan Mavers earned top honors in 4A-I after leading Indy to a second place finish. Mavers led the Bulldogs to a 4A-I state runner-up finish after going 12-1 on the season with a 1.85 ERA. She only allowed 51 hits in 71.2 innings pitched with 76 strikeouts. Mavers, a junior, is now 37-4 in the circle with a senior season left to play. Independence has taken third, third and now second in the three years with Mavers in the circle. Prior to the time she was in high school, they hadn't made the state tournament since 2001. 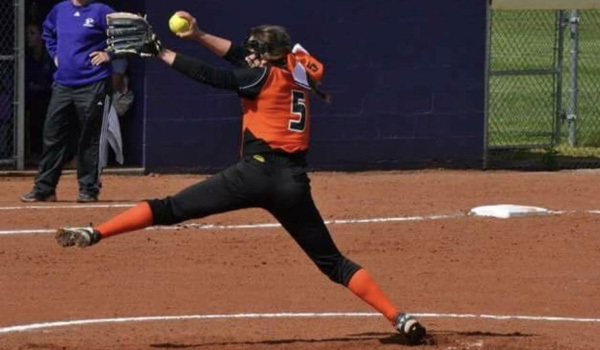 She has a 5-1 record pitching at the state tournament after losing by one run in eight innings (5-4) to Andover Central, finishing 24-1 on the year. Not only did she get it done as a pitcher she also was near the top in the state in hitting as she had 47 hits in 25 games with a .573 batting average. She picked up 10 doubles, a homer and 34 RBI. She also scored 31 times for the back-to-back undefeated SEK League Champion. Congratulations Morgan! We are so proud of you on and off the field. Enjoy this moment you have earned it. We love you! Mom, Dad, Jase, Cameron, Nana and Papa Mavers, and Nana and Papa Fry. Andover Central was not the favorite entering the 2018 softball tournament and had just a 12-10 record entering but ended up state champions for the first time since 2009. Central wasn’t loaded with all-state talent but put it together at the right time of the year as a full-team effort. The teams Andover Central beat in the three state tournament games were combined 64-5 prior to losing to Central. Just like her team fighting a battle as an underdog, Frakes also beat stage three breast cancer. What a finish for the Jaguars in 2018 to capture the 4A-I title and did so by beating previously undefeated Independence (5-4) in extra innings (8).